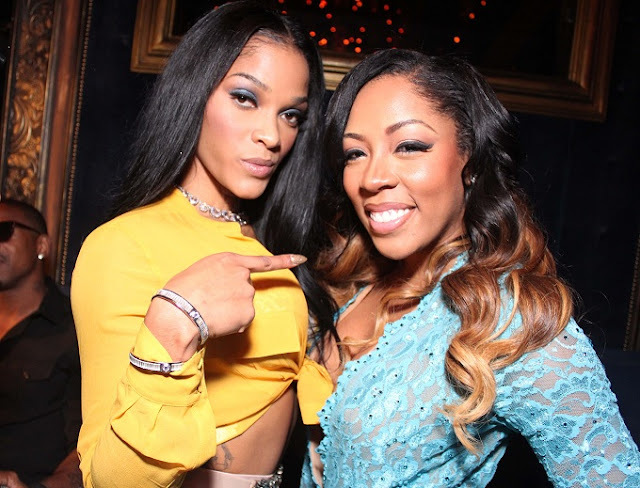 In case you were unaware, Joseline Hernandez and K. Michelle have been beefing all weekend long. It all started when Tiny, Mona Scott-Young and Tiny's BFF Shekinah showed up to K. Michelle's Atlanta restaurant. Shekinah started to low-key diss Joseline who has been threatening to sue Mona and VH1. This video explains all the drama. Even though K dragged Joseline by each and very follicle on her head, she didn't stop there. She took shots at Joseline's alleged drug use again in a series of videos. #KMichelle has more time 😩😩 She just got on IG Live to throw a little more salt on #JoselineHernandez! Are things going too far?